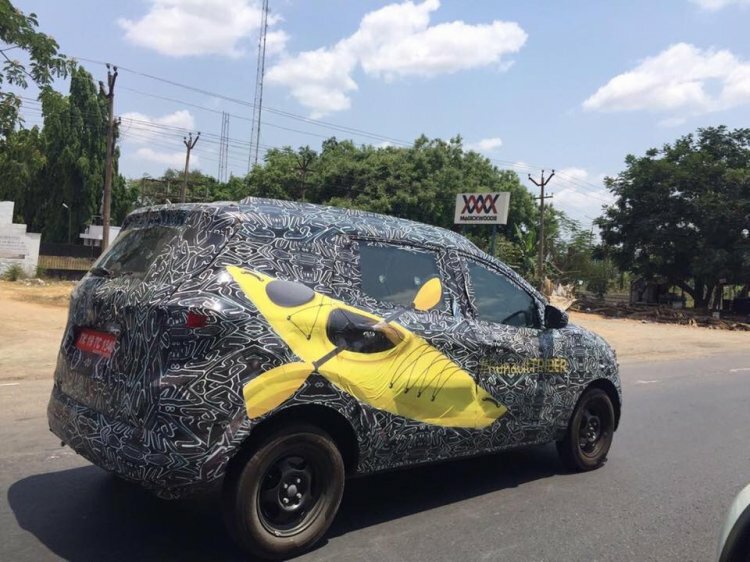 Update: Renault is now testing the Triber (codename: RBC) MPV with yellow decals of adventure sports and the model name on the camouflage for promotion, spy shots posted by Auto Punditz have revealed. Cardekho has spotted a highly camouflaged unit of the Renault RBC (Kwid-based 7-seater MPV) undergoing road tests on an Indian highway. 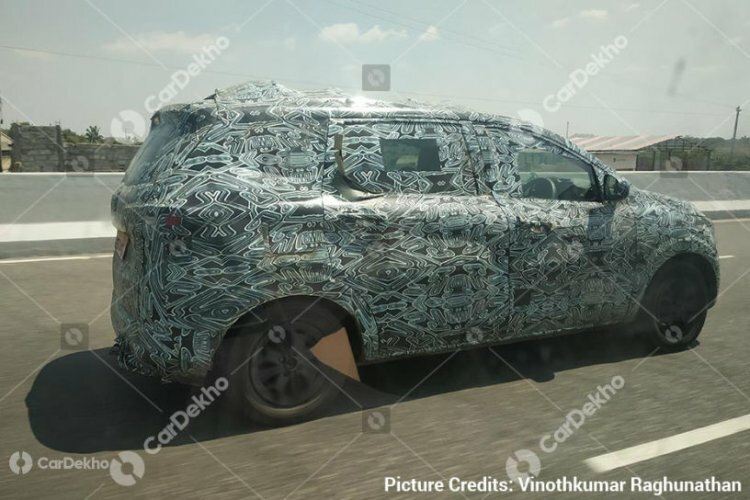 Recently, Venkatram Mamillapalle, CEO and Managing Director, Renault India reportedly hinted at a July 2019 launch of the new vehicle. The Renault RBC is expected to lock horns with its own sibling, the Datsun GO+. With this, it will become one of the most affordable 7-seater MPVs on sale in India. While being related to the Renault Kwid, the Renault RBC won't precisely mirror its budget-end hatchback sibling. 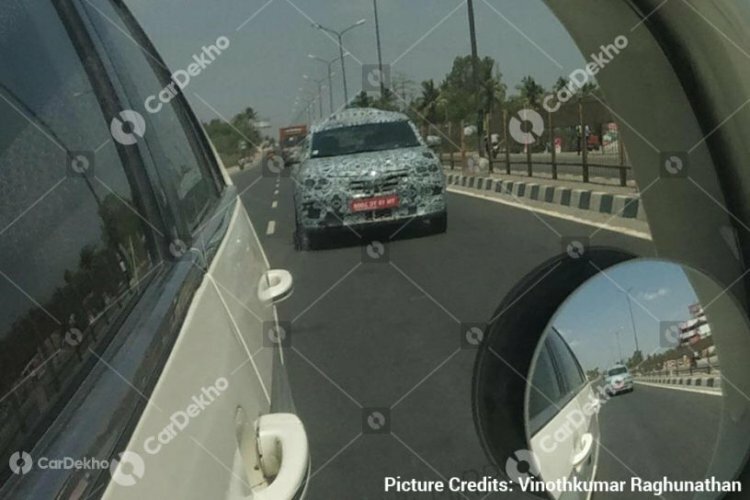 Its facade will feature a beefier bumper with squarish fog lamps and stylish headlamps with LED DRLs. The wide V-shaped upper grille will be in line with the company's latest styling theme. In the side profile, one might find hints of the Renault Kwid, but the panels are expected to be mostly new. The Renault RBC will be underpinned by a repurposed version of the Kwid's low-cost CMF-A architecture. Measuring less than 4-metres, the new model will be entitled to benefit from the least GST levied on ICE-powered passenger cars. Powering the Renault RBC will be a more powerful version of the company's 1.0-litre SCe three-cylinder petrol motor that can be found under the hood of the Kwid and the redi-GO. The additional power from the turbocharged engine will help the MPV make up for the extra weight. The motor will come mated to a 5-speed manual transmission, while an AMT could be offered as well. The diesel engine option will be conspicuous by its absence.